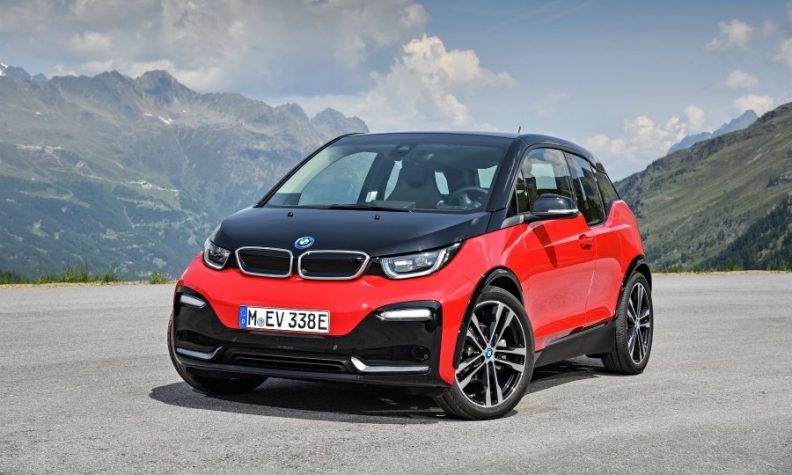 The BMW i3 was among the best-selling electrified vehicles in Norway last year. OSLO -- Sales of electric and hybrid cars rose above half of new registrations in Norway in 2017, helped by generous subsidies that extended the country's lead in shifting from fossil-fuel engines. Pure electric cars and hybrids accounted for 52 percent of all new car sales last year in Norway against 40 percent in 2016, the independent Norwegian Road Federation (OFV) said. "No one else is close" in terms of a national share of electric cars, OFV chief Oeyvind Solberg Thorsen said. "For the first time we have a fossil-fuel market share below 50 percent." Norway exempts new electric cars from almost all taxes and grants perks that can be worth thousands of dollars a year in terms of free or subsidized parking, re-charging and use of toll roads, ferries and tunnels. It also generates almost all its electricity from hydropower, so the shift helps to reduce air pollution and climate change. By the IEA yardstick, which excludes hybrid cars with only a small electric motor that cannot be plugged in, electric car sales in Norway rose to 39 percent in 2017 from 29 percent in 2016, when the Netherlands was in second on 6.4 percent. Norwegian car sales in 2017 were topped by the Volkswagen Golf, BMW i3, Toyota RAV4 and Tesla Model X. The Tesla is pure electric and others have electric or hybrid versions. "We view Norway as a role model for how electric mobility can be promoted through smart incentives," a BMW spokesman said. "The situation would probably be different if these incentives were dropped." Other "good examples" of policies to spur electric-car demand include Britain, California and the Netherlands, he said. Last year, Norway's parliament set a non-binding goal that by 2025 all cars sold should be zero emissions. Among other nations, France and Britain plan to ban sales of gasoline and diesel cars by 2040. Christina Bu, head of the Norwegian Electric Vehicle Association which represents owners, said the 2025 goal meant that Norway should stick with its incentives for electric cars. "It's an ambitious goal only seven years away," she said. Overall, sales of zero emissions cars in Norway rose in 2017 to 21 percent from 16 in 2016. Electric cars have widespread support among Norway's 5.3 million people. A plan last year by the right-wing government to trim electric car incentives, dubbed a "Tesla Tax," was dropped in negotiations on the 2018 budget. Sales of diesel cars fell most in 2017, to 23 percent from 31 in 2016. Some regions in Norway have started to charge higher road tolls for diesel cars than for gasoline vehicles. Norway's electric car policies are hard to imitate. Norway can be generous because high revenues from oil and gas production have helped it amass the world's biggest sovereign wealth fund, worth $1 trillion. Illustrating the supportive benefits, a Volkswagen e-Golf electric car sells for 262,000 crowns ($32,300) in Norway, just fractionally above the import price of 260,000, according to the Norwegian Electric Vehicle Association. But a comparable gasoline-powered Golf, which costs just 180,000 crowns to import, ends up selling for 298,000 crowns after charges including value added tax, carbon tax, and another tax based on the weight of the vehicle. Even in Norway, the benefits strain finances. Norway's 1.3 trillion Norwegian crown budget projects a loss of tax revenues of 3 billion crowns a year because of electric cars.